Were you arrested for a crime? It is important that you work quickly to retain legal counsel. The sooner you speak with a lawyer regarding your situation, the sooner you can begin working toward a favorable outcome. If you are convicted of the criminal charges you face, you could be forced to serve time in jail, pay hefty fines and could spend the rest of your life with a tarnished reputation and as a result, receive more limited employment and educational opportunities. Criminal charges are not something to take lightly! After being charged with a crime, it is imperative that you secure legal representation immediately. But it can be difficult and overwhelming trying to select the right criminal defense attorney to represent you. How can you distinguish a competent criminal defense attorney from a less-than-competent criminal defense attorney? You need to make sure you select a criminal defense attorney with the necessary expertise, skill and knowledge needed to defend you. A well-trained and experienced criminal defense attorney will know how serious the charges are that you face, what defenses are available in your situation, what plea bargains could be offered and what you should expect at trial and if you are convicted. Have you handled many cases similar to mine? How many criminal defense cases have you actually handled? How often have you worked out plea agreements or negotiated a lesser charge? You have come to the right place, however, and that you don’t need to look around any further! Does this seem like a bold claim to you? Why, you ask, is William F. Riddle the best choice for you? At the Law Office of William F. Riddle, we proudly stand behind our clients and aggressively litigate their cases to give them a fighting chance against the criminal accusations they are facing. The dedicated staff at our firm has decades of trial experience and we are not afraid to take your case to court. 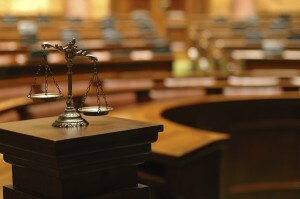 From day one, we will prepare your case for trial and fight to help you obtain the best outcome! Your best interests and your future matter to us. We head into every case aiming for success and we will not settle for less! If we handle your case, we promise our full attention, care, energy, time, resources and commitment. The hard-working and reliable staff at William F. Riddle, Attorney at Law stands ready to defend you in your time of need! No matter what you may be facing, you can rely on our team to protect your rights and defend your freedoms. Our team can help defend you against accusations of drug crimes, felony charges, or theft crimes, including robberies. You should not face the justice system alone and you can trust our team to help you. We pride ourselves on being a compassionate friend and an aggressive advocate for our clients in trouble. No case is too big or small for us to handle; we can help defend you against a DUI charge, traffic offense, or an accusation of a violent crime such as assault or domestic violence. At William F. Riddle, Attorney at Law, we are proud to serve all of Cecil County, including Elkton and Rising Sun, Maryland. Our experience in trial litigation makes us a stand out from other criminal defense attorneys who would rather settle outside of court than take a case to trial. Our firm is made up of a goal-oriented and results-driven team of attorneys who aggressively seek to help you obtain the most favorable resolution for your particular case. We will challenge all evidence and develop a strong defense for you! We have built our entire team around hard-hitting trial litigation and have been proudly serving the Cecil County residents for more than two decades. William F. Riddle, Attorney at Law has more than 22 years combined legal experience in working with people who are criminally charged, as well as families and individuals facing complex family law or civil litigation matters. If you have been arrested or are interested in speaking with a Cecil County criminal defense attorney regarding your particular situation, then do not hesitate to contact our team and schedule a free case evaluation as soon as possible.